Does Smoking Affect Fracture Healing? Can I drive with a Cast? 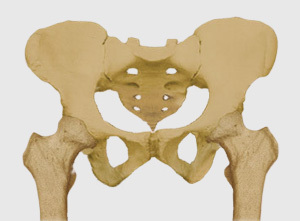 Hip development problems- developmental dysplasia of the hip (DDH) or what is commonly known as a ‘clicky hip’. This may have been diagnosed at birth, noticed on ultra-sound examination, or on clinical examination. The cast usually extends from the lower chest to mid thigh or sometimes lower. The cast is applied in the hospital by specialist technicians while the child is under anaesthetic. The inside of the cast will be lined by a protective liner to protect the skin. Outside the liner will be cotton wool, then usually fibreglass casting. The edges are trimmed and lined with felt to ensure that it does not cut the skin. After the procedure, the child will have an intravenous drip line, they will be monitored for pulse, oxygenation and blood pressure. The feet are also monitored to ensure that the pulses are present and that the toes are pink. The cast is often wet initially and will become lighter as it dries. The child is usually kept in hospital until they are reasonably comfortable. Parents or guardians often feel nervous about holding their child while in plaster. It is important to support the cast from the bottom or under both legs. Don’t lift the child by the armpits or support bar! When lifting the child, it is advisable to keep the child as close to one’s body as possible so as not excessively strain the back. In general, bend the knees while keeping the back straight. Plan journeys so that lifting and transferring can be minimised. Have a buggy close by. make sure that the child’s heels and toes can be moved freely after each position change and that the feet are not pressed into a nearby surface like a mattress or chair. It is worth checking the skin and cast on a daily basis. Look for any signs of irritation such as redness, blisters or bruising and check for any cracks in the cast.